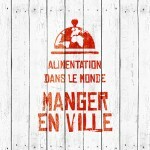 Ce symposium est organisé par la Chaire Unesco Alimentations du monde (Montpellier SupAgro et Cirad), l'UMR Moisa (Cirad, Inra, Montpellier Supagro, Ciheam-IAM), l'OCHA (Cniel) et le Centre Edgar Morin de l'Institut Interdisciplinaire d'Anthropologie du Contemporain (IIAC). In 15 years, the cities of Africa, Latin America and Asia will account for almost half the global population and more than 80% of the urban population. Cities draw together diverse populations, fostering innovation. Urbanization has been linked to transformations in eating practices including the increased consumption of meat, processed foods, sugars, and fats, as well as a decline in home cooking. From an epidemiological standpoint, and at the macro level, these changes are analysed through the notion of “nutritional transition”. This is characterised by a fall in infectious diseases accompanied by an increase in obesity and non-transmissible diseases. Because European and North American societies have experienced similar processes in the past and because the industrial stakeholders dominating the agricultural and agribusiness industry are based in these societies, some view these changes as a “westernisation” of diet. On a smaller scale of analysis, one focused on eating habits and representations (in other words “food styles), we observe a wide variety of situations and trajectories. Local products are not marginalised. Thousands of companies, often small-scale businesses, promote and adapt them to the constraints and tastes of urban dwellers. City dwellers are confronted with more varied foods and information from numerous sources (family, medical, advertising, etc.). Some of these “plural” eaters3 reconfigure eating practices, drawing on diverse references according to the meal or the occasion. They navigate between social groups and combine sometimes contradictory beliefs. In contrast to flexible practices, other eaters adopt more rigid behaviours and defend increasingly radical normative positions (100% organic, veganism, those who prioritize “traditional” and/or local foods, etc.). Eating practices are thus torn between contradictory movements, simultaneously enduring and inventing new ways of eating. The first two days of the symposium will focus on discussion of qualitative studies conducted in cities in Africa, Asia, and Latin America carried out by local sociologists and anthropologists. The creation of a global network of such researchers is one of the objectives of the Unesco Chair World Food Systems and is supported by Danone Nutricia Research and Agropolis Foundation, partners on this event. The symposium is open to researchers from other disciplines on request.